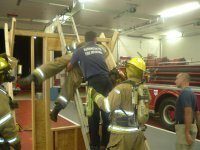 The Elwood Fire Company along with the other Twp companies attended FAST/RIT team training recently. 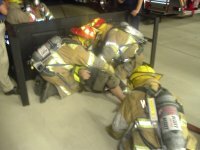 A Firefighter Assist and Search Team (FAST), also known as a Rapid Intervention Team (RIT), is a team that comprises of two or more firefighters dedicated solely to search and rescue of other firefighters in distress. Engine 16-3, Tanker 16-5 and Support 16-1 responded to a report of a car fire at Stumpers Excavation on Rt 30. 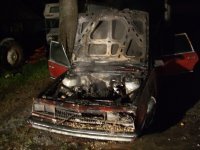 On arrival Chief Tomasco found a car with the engine compartment engulfed with fire. 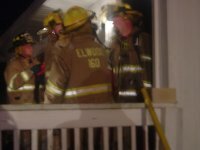 Elwood firefighters arrived and extinguished the fire. Engian 16-3 responed to a report of a propane leak and the Mullica Mobial Home Park on Rt 30 at 4:45pm. On arrival they found propane leaking inside of the trailer. 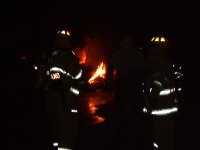 The crew shut off the propane at the bottles and ventelated the residents. The owner who was complaining of headacke and naseousness was transported to the hospital by Hammonton Rescue. Engine 16-3 and Tanker 16-5 responded to a report of an electrical fire at a residents on Weymouth Rd near Reading. 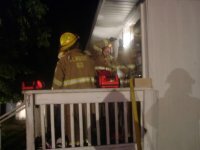 On arrival E-16-3 found an electric light on the outside of the house on fire. Fire crews made to situation safe and turned the scene over to Police & EMS workers. Members of the Elwood Vol. 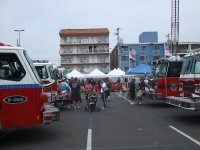 Fire Company once again attended this years Firemen's Convention in Wildwood. Twelve of us drove down and four Delegates attended the meeting. 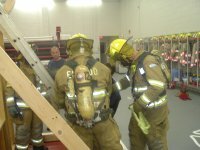 We looked at the latest fire/rescue equipment and vendors. 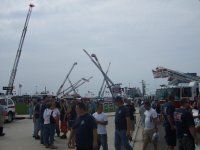 We also met firemen from all over New Jersey and well as met up with old friends from surrounding companies. Transformer Fire at the Elwood Road Railroad Tracks on Tuesday, August 28, 2007. 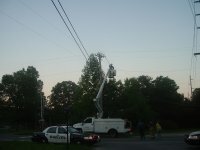 The Elwood Fire Company responded and assisted police in shutting down a portion of Elwood road until the electric company arrived and cut the power. 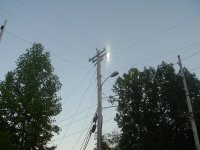 Some homes were with out power for about 2hrs.